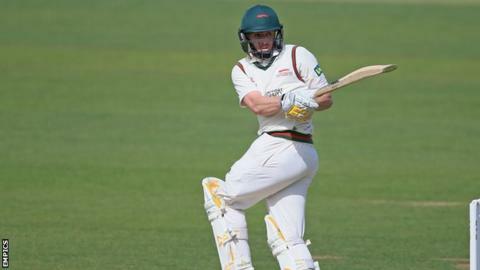 Leicestershire have signed Dieter Klein until the end of next season, while Richard Jones and Lewis Hill have penned deals until 2018. South African seamer Klein, 27, was registered ahead of the One-Day Cup match against Lancashire and took two wickets in a 131-run victory. Warwickshire paceman Jones, 29, is on loan but has signed a permanent deal. Wicketkeeper Hill, 25, came through the academy system at the club and made his first-class debut in 2015. He has performed well in T20 Blast in 2016, topping the club's averages with 157 runs at 39.25 and a strike rate of 150.66. Elite performance director Andrew McDonald said: "Lewis has done extremely well for us and it will be good to have him continue his progress with the club. "He has demonstrated that he can play in all three formats of the game and we're pleased that he's extended his stay with us." On adding Klein, who has 154 first-class wickets at an average of 25.99, to the squad, McDonald added: "Dieter comes with a good pedigree and greatly impressed when playing in our Second XI and training with us. "We're delighted to have him on board to bolster our bowling roster until the end of the 2017 season." Klein holds a German passport and is therefore not considered one of Leicestershire's overseas players.